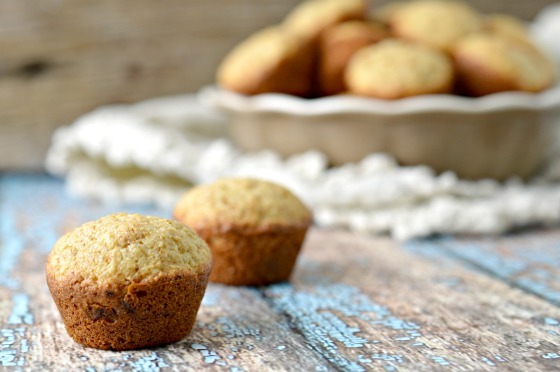 Looking for a tasty new muffin recipe to make this week? If you have a few things in your freezer and pantry then you can easily make these Banana Zucchini Wheat Muffins! I wanted to create a way to use both the frozen bananas and the frozen zucchini in my freezer. That combined with the fact that I wanted to make muffins for breakfasts for this week came up with this recipe. These healthy and hearty treats are sure to be welcome in any home. Mix together the banana, egg, zucchini, honey, and oil. Add in the soda, powder, salt, flour, cinnamon, and chocolate chips. 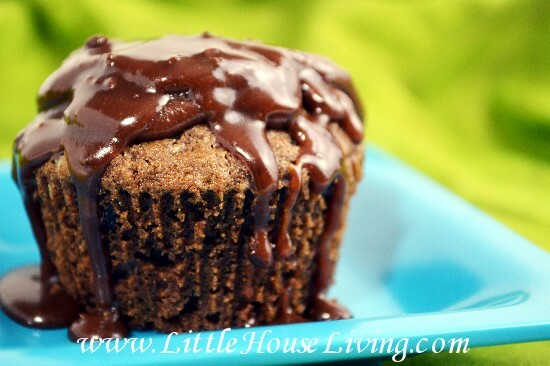 Drop into a greased muffin pan and bake at 375F for 25-30 minutes or until a toothpick comes out clean. 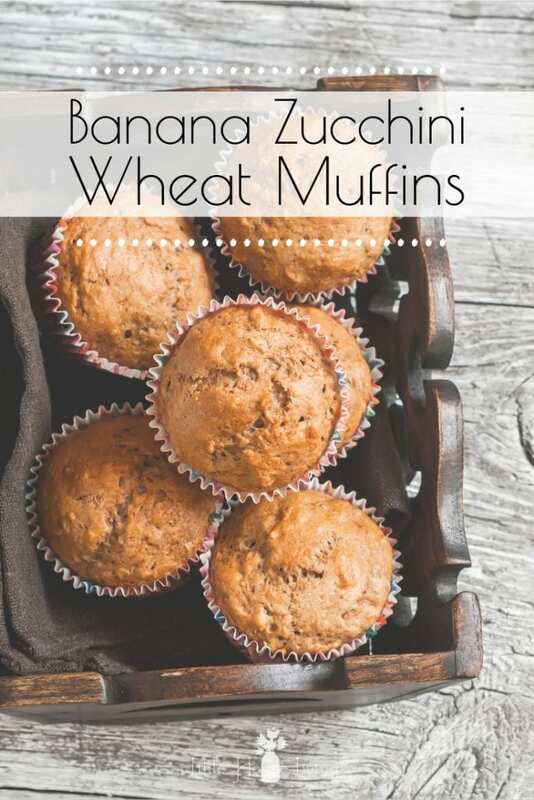 Looking for the printable version of this Banana Zucchini Wheat Muffins recipe? Find it below! 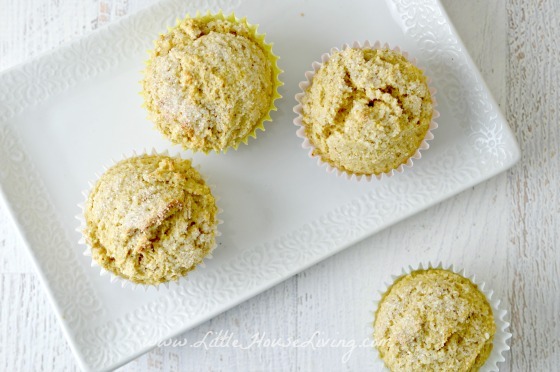 Do you think your family would enjoy these Banana Zucchini Wheat Muffins? 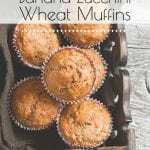 This recipe for Banana Zucchini Wheat Muffins was originally published on Little House Living in October 2010. It has been updated as of March 2019. I love your site! It's beautiful! I have never cooked with zucchini before. I picked up a few at the store and this is one of the recipes I will be making. I hope the kids will eat them without the complaining. They sound delicious to me. Thank you for sharing. We made these exactly this way one time and the kids loved them. Today we made some without chocolate chips and a batch with blueberries added and they loved them those ways too. Thank you for giving us a way to try zucchini and get a new veg in our diets. I just made these with a couple of minor tweaks to make a bit more healthy version for a high fiber breakfast muffin, love them! My tweaks included substituting 1 cup blueberries and 1/3 cup walnuts instead of chocolate chips, added 4 tbsp wheat bran for additional fiber, and substituted 1/4 cup applesauce for oil. Thank you for the recipe. I have some frozen shredded zucchini that I didn’t know what to do with, but really need to use. 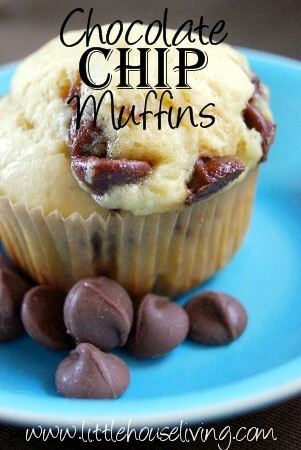 These look yum and I have two bananas on the counter ready to use. Yea! I made this recipe this week. The flavor of the muffin was good. Thanks for sharing the recipe!